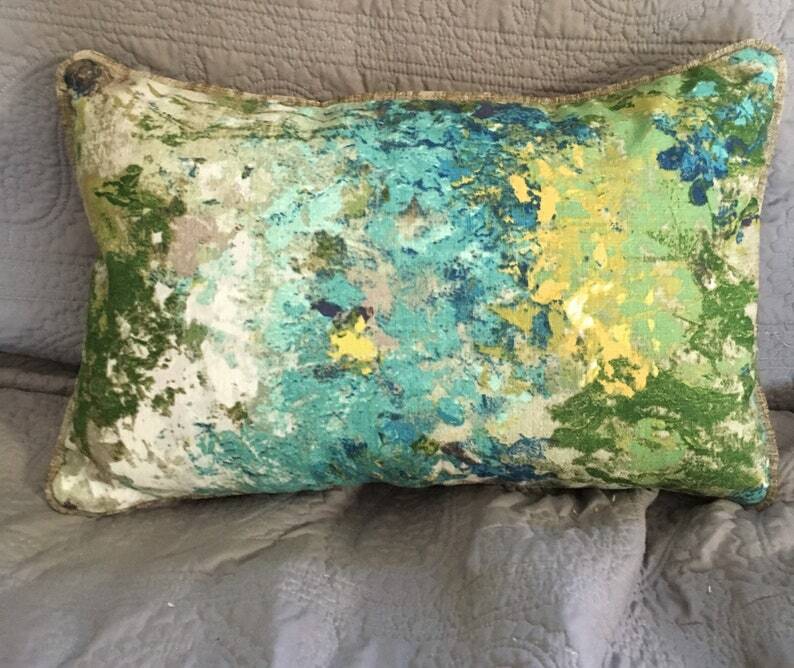 Armchair sized throw pillow with watercolor print on front, polyester velvet on back, Polyfil pillow insert included. Invisible zipper closure. 12x18 inches rectangle. Dry clean only—pillow cover.